Leon Ho is the Founder and CEO of Lifehack, which he started in 2005 as a way to share his personal productivity hacks to make life easier. Since then, he has grown Lifehack into one of the most read productivity, health and lifestyle websites in the world. He has been listed as Business Week’s #4 “Top 24 Young Asian Entrepreneurs”, and with over 30,000 articles published at Lifehack, is now widely recognized as a productivity and management expert through his pioneering work at discovering, applying and spreading the secrets of personal development to the world. Leon has decades of experience in technology and the Internet around the global. As manager of Software Engineering at Red Hat, Inc., Leon led an international team of software engineers (Team of Australia, China, India and Japan) to add international support — including 22 languages — to Red Hat’s Enterprise Linux. 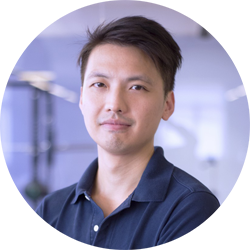 Influenced by both Western and Asian culture, Leon has great deals of product management, design, development and marketing experience and holds a Computer Science degree from Queensland University of Technology in Australia.